The last days of our successful Companisto crowdfunding campaign are upon us. A last few days in which to gather momentum and give Cringle one final enormous push. So far, more than 1370 Companists have supported us with in excess of €710,000 and thus proven that Cringle is suitable for mass markets and solves many everyday problems. We want to provide you with an incentive for as yet undecided friends with which to highlight the advantages of a Cringle investment, which is why we have summarized the development of significant KPIs and also have some Cringle investment vouchers to give away. Our Companisto crowdfunding campaign was launched on 28 June 2016 and we have been providing you with information about Cringle developments ever since. But I am sure you are most interested in the development of certain KPIs that we have prepared for you today. Over the course of the campaign, we achieved a weekly average growth rate of almost 20% (based on installs). This obviously goes hand in hand with increasing user engagement. The number of invites that users sent to their friends increased by an average of 21% per week during the campaign. The number of transactions increased even more significantly, resulting in weekly growth of almost 24%. This shows that our Cringle users' general activity continues to grow and that viral distribution in our users' circle of friends is also increasing. More than €900,000 had already been transferred via Cringle at the launch of our campaign. In regard to this KPI, we are particularly pleased to announce that our Cringle users have now sent almost EUR 1,500,000 via our system. Only 24 hours after the launch of the campaign and with your help, we were able to exceed to the €100,000 investment threshold. We achieved our financing goal of €400,000 before the official end of the campaign and were sent numerous requests for further investment in Cringle. Therefore, we decided to extend our campaign and are now approaching that finishing line as well as having collected almost €800,000. Let me just use this opportunity to say: THANK YOU! To ensure that we do not lose the wind from our sails just inches from the finishing line, we want to expend a final burst of energy with your help. 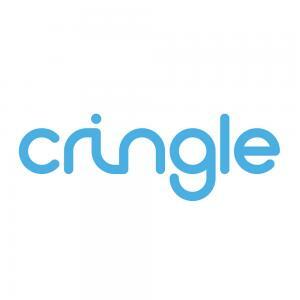 Therefore, we decided to launch a voucher campaign with which you can hopefully persuade your friends and family to invest in Cringle, or that might prompt our existing investors to invest just a little more in our business. For investments in excess of €100, the next 25 Companists will receive a voucher code which adds €20 to the investment. These simple steps will add €20 to your investment for free.